The responses were heartbreaking and eye-opening. As someone who presents as a white, heterosexual, cisgender male most of the time, I can honestly say that these, along with almost every response I read, were never anything I ever gave a second thought to. In male mode, I am rarely, if ever, in fear of getting attacked when I go for a run or walk to my parked car. This Twitter conversation is a reminder of my genetic privilege. Men attacking women, whether it is verbal, emotional, sexual or violent has been happening for a very, very long time. The #metoo movement has created awareness, and outrage, of how often this happens to more women than I ever imagined. Of course I was, and am, horrified. But women knew this. They always did. It’s important and necessary to listen to and believe the women. I do not think women fabricate these stories for personal gain. Yes? You in the back? You had a question? You can shut the hell up, thanks. Over the past week, the entire nation was engaged with the recent testimony of Dr. Christine Blasey Ford as she painfully recalled and described a sexual assault when she was younger. The president rewarded her courage by mocking her on national television. His supporters laughed and cheered. Dr. Ford and her family had their lives threatened. Tell me again why you don’t think women come forward with their stories. The president warned us that this is a very scary time for young men. Men are not the victim here. Men are not the ones looking over their shoulder when they pump gas. Men being treated that they are the ones under attack is another example of their privilege. What I mean is that many white men are used to everything being white men. Black lives matter? Let’s change that to ALL lives matter. Yes all lives matter but the message of Black Lives Matter is about bringing attention to police killings of black people, and broader issues such as racial profiling, police brutality, and racial inequality in the United States criminal justice system. Dr. Ford’s testimony, the stories of the #metoo movement, Black Lives Matter are all examples of how white, heterosexual, cisgender men have never had to fight to be believed, listened to, or respected. My grandmother fought for the right to vote, my brother fought for the right to marry his husband. These were rights that I never had to fight for. I am thankful for these reminders and for the women sharing their stories. I am awed and humbled, and in some cases, shamed by their courage. Bringing awareness to a problem is how change happens. In this case, the change will come by changing the behavior of men. I didn’t know what it was like to be wary of being in public until I plucked up the courage years ago and left my house as Hannah. For the first time in my life I was out in the real world presenting as someone other than a cisgender, heterosexual male. The terror started immediately. What if the person in the car next to me sees me and follows me? Is there anyone in the parking ramp that could attack me? Will people yell at me from their car as I walk down the street? As Hannah, I am constantly looking over my shoulder, I am constantly on alert and aware of my surroundings. I am constantly prepared to leave the area, the store, or wherever I am if I feel threatened or harassed. However, when I leave the house presenting as male, I feel relaxed and I am no longer on guard. Sure, I have had very few negative experiences in the real world as Hannah, but it only takes one act of violence to change my life forever. My point is that when I am Hannah, I am in her world. Her world is full of lipstick, cute dresses and too-high high heels. Her world, as well as every trans and ciswoman’s world, is also filled with danger, misogyny, violence and harassment. These horrible things go away from my life when I return to presenting as male. But my wife, my sisters, my friends and all women do not have the privilege of this safety. 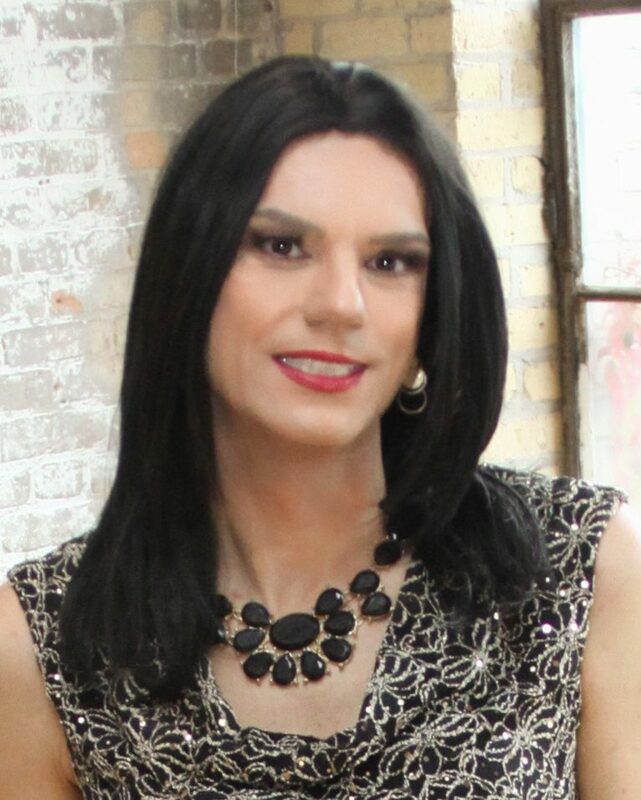 As a t-girl, I am aware of my responsibility to create a positive perception of the transgender community to the rest of the world when I am out in public. I know I also have responsibilities as someone who also presents as male when it comes to the #metoo movement. There needs to be change on a behavioral level as well as on a systematic level. I am committed to being the best person I can be, no matter how I present. The world has shown us what needs to change, what needs to happen. We can all be leaders in this change. At a minimum, we can be decent people. A whole world looks to see what we will do. We cannot fail their trust, we cannot fail to try. May I say what an excellent post this is? If anyone reads Hannah’s words and feels that touch of righteousness anger, hang on to it. Draw on it next time a guy talks over a woman, disrespects or catcalls; frankly, challenge that crap and be a f***ing ally. Hannah I agree with you. 99%. As transwomen we are probably more sensitive than most to personal safety as we are at risk both as women and for being transgender. We DO need to respect and defend each other not because of gender, race, or orientation but because we are people in a civilized society. Unfortunately, when things like sexual assault are used solely as political weapons as we have watched in our country for the past week it makes it that much harder for women who truly are victims to come forward, to be taken seriously. It makes it that much harder for us to respect and defend one another. I live in the suburbs of a large city. I go to baseball games in the downtown city area probably 10 to 15 nights a year. I park about half a mile away and walk freely to the ballpark (as a guy) without giving it a thought. Earlier this year, I decided to attend a U2 concert in rock chick Dee mode. The arena where they were performing is a couple of blocks away from the ballpark. Never once did I consider driving and parking. I took the lightrail system. Part of that is the lightrail stop is next to the arena (actually, the ballpark lightrail stop is closer than the area lightrail stop), so it was a reasonably short walk, which was doable in the heels I was wearing (wore the heels in, changed to flats after to walk out). The biggest reason I took the train is I did not want to walk around downtown presenting as a lone woman, either whether I was perceived as passing as a woman or as being recognized as a transwoman/CD. Either has its risks, risks I was unwilling to take, even if it meant being on a crowded lightrail train with lots of people (only within the last 18 months or so have I been out on a regular basis, and never before to an arena with 15,000 people). Hannah, that is a superb, hard-hitting post that can only serve to show how the trans community can and should respond to women’s legitimate and well-documented fears. I too have changed my behaviour when walking as a trans woman at night because of fears that I would not have had if I had been presenting as male. And in the past, as male, I have inadvertently scared women, and that made me stop and think much more carefully about the way I behaved as I was upset at having caused a fright, however unintentionally. Your blog is a wonderful blend of advice, fun and excellent commentary. I hope you keep it up for ever. Hannah, Thank you. As t-girls, we MUST be feminists! Although I’m in the closet, I do try to speak up and speak out for women (and trans people) when I can.